This past weekend was the Great Backyard Bird Count sponsored by The Cornell Lab of Ornithology and the National Audubon Society. The four-day count is an opportunity for bird watchers from all over the United States and Canada to submit a list of the different species visiting their yards. Participants count birds for as little as 15 minutes or all day and then submit the total number of birds for each species observed during the count. The scientists analyze the data to answer questions about the winter bird population, such as; how the weather is affecting the movement of the population; what new species are sighted in particular areas of the country; what species are declining and what species are increasing. Due to the relatively mild winter and minimal snowfall, our birds are taking advantage of the abundant natural food rather than coming to the feeders. We have not had any of the northern visitors that sometimes come by during the winter such as the pine siskins, evening grosbeaks or redpolls. Our count consisted of the typical birds that are usually seen in our area during this time of the year. 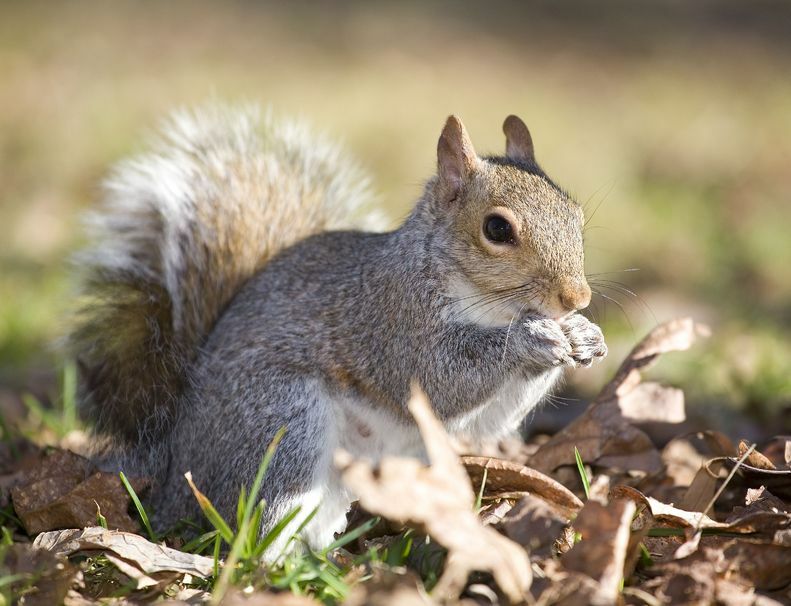 The number one visitor to the feeders is the bane of bird watchers everywhere–the gray squirrel. The squirrels are always around to take advantage of the “easy pickings” in the feeders and on the ground.